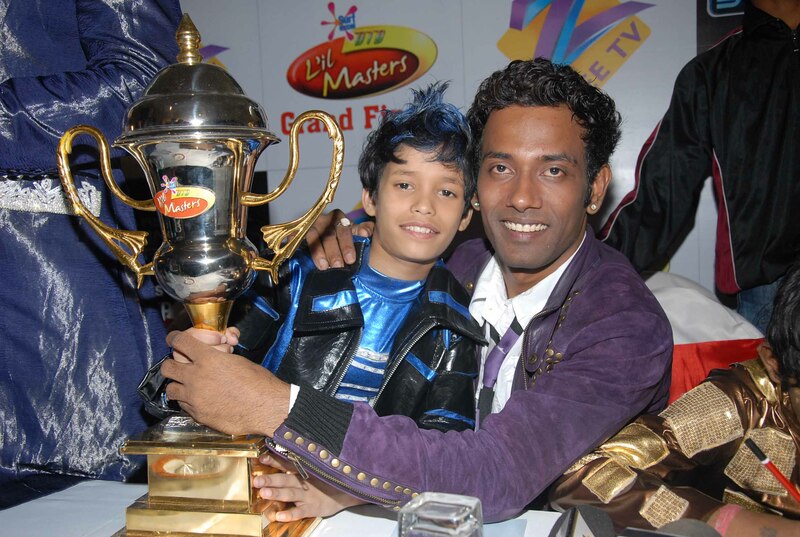 Presenting India its first child dancing sensation, Zee TV proudly announced the winner of the first season of its immensely popular dance reality show for kids, 'DID L'il Masters'. In an intense, nerve-racking finish, Jeetumoni Kalita was voted the winner by millions of viewers from across the nation. The Grand Finale was held at Balewadi Sports Complex, Pune on August 7th and telecast LIVE on Zee TV. Superstars Anil Kapoor and daughter Sonam Kapoor, the star attractions at the glitzy evening presented the coveted KB3 Cup to the elated winner. The Grand Finale of DID L'il Masters marked the end of a thrilling dance journey for 16 bright kids from across the country, who dazzled TV screens with performances that established them as the real Dance Ke Baap. Highlights of the evening were a jaw-dropping aerial act by the Top 10 finalists to Dhan Te Dhan, a medley of popular Laavnis by skippers Amrita and Vrushali and a Hip-hop extravaganza by l'il Ruturaj, Dharmesh Sir and Master Remo Dsouza. When Mithun Da took to the stage with the lethal combination of Master Geeta Kapoor and Farah Khan, the audience frenzy was to be seen to be believed! Commenting on the occasion of the Grand Finale, Nitin Vaidya, COO, ZEEL and Business Head, Zee TV said, Heartiest Congratulations to Jeetumoni. Dance India Dance, as a brand, has set new benchmarks in the realms of reality programming. The superlative talent DID L'il Masters has brought forth is unmatched in this country. Mentored by able skippers, the kids presented acts one could never have imagined children to be capable of delivering. Groomed by judges Farah Khan and Sandip Soparrkar, the children approached the platform with the right attitude and mindset. The presence of Grand Master Mithun Chakravarty made the show a memorable journey of dance. My best wishes to all the finalists for their future endeavors. Apart from the priceless exposure and the golden opportunity to showcase their talent in front of the country, the finalists of DID L'il Masters have walked away with a bounty of prizes. While the winner wins an all-expense paid trip to Mauritius along with his parents courtesy India Gate Basmati Rice, an SIP plan worth Rs. 3 Lakhs from Fidelity and a 32 LCD TV from Complan, the first runner-up and second runner-up get SIP's worth Rs. 2 Lakhs and Rs. 1.5 Lakhs respectively from Fidelity alongside the LCD TV's from Complan.